The Oregon Secretary of State has died, his office announced early Wednesday. 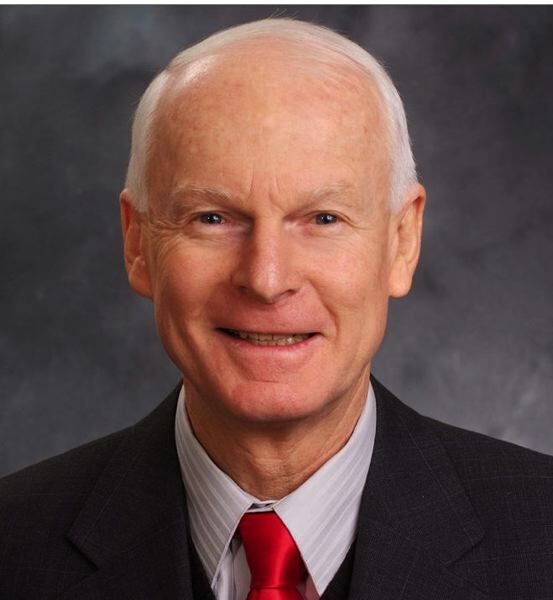 Oregon Secretary of State Dennis Richardson has died, his office announced early Wednesday, Feb. 27. Richardson, the only statewide elected Republican, had been fighting brain cancer. "On Tuesday, February 26, at approximately 9:00pm, Oregon Secretary of State Dennis Richardson's courageous battle with cancer came to a close. Dennis passed away at his home surrounded by family and friends. "From his service in Vietnam as a combat helicopter pilot to his 30-year legal career and 19 years in public service, this father of nine and grandfather of 31 found great joy in serving and taking care of others. "As Secretary of State, Dennis was fiercely dedicated to accomplishing the work the people of Oregon elected him to do. Upon taking the reins of this office in January 2017, Dennis' visionary leadership built on the strengths of the 227 Secretary of State staff members. Together, Dennis and this dedicated team of public servants improved the program business practices of Audits, Elections, Archives, Corporations and Small Business, and the three Administrative Services Divisions of the agency. He also brought many professional and personal gifts and experience to this office. Dennis' focus on transparency, accountability, and integrity coupled with his uncompromising work ethic inspired staff to "up their games" to move mountains. "If you spent time with Dennis, it wouldn't be long before he shared with you his personal motto of "Pro Tanto Quid Retribuamus," which means: Having been given much, what will you give in return? This philosophy influenced every aspect of Dennis' life and became the hallmark by which many knew him. His challenge to us in the Secretary of State's office is to give our very best to each other and to Oregon each and every day. "Dennis leaves a legacy of always aiming high, expecting excellence, moving fast, and doing what is right for the people. It has been an honor and a privilege to work with such an incredible leader and wonderful friend. He will be greatly missed." Locally, Crook County Clerk Cheryl Seely issued a statement about Richardson upon his passing. "It is with great sadness to hear of the passing of our Secretary of State Dennis Richardson. Secretary Richardson was very dedicated to his work and to improving the election process, election security and to ensure all of those who are qualified to vote in Oregon have the opportunity to do so," Seely stated. "I had the honor of having Secretary Richardson visit the Crook County Clerk's Office last year, as he was very interested in meeting my staff and seeing how we conducted elections in Crook County. "During that visit, he presented me with a medallion that is currently on display in my office. The medallion reads 'Pro Tanto Quid Retribuamus,' which means: Having been given much, what will you give in return? "He explained this philosophy to me and how much it meant to him and how he applied it to every aspect of his life. It has been an honor to have worked with Secretary Richardson, he was a great man and leader, he will be greatly missed."